One of the most interesting and eye catching watches we have had in quite a while… Blancpain Aqua Lung in new old stock condition with case back engraving “U.S. NAVY TYPE A Serial NR. 204XX Date 8/60”. 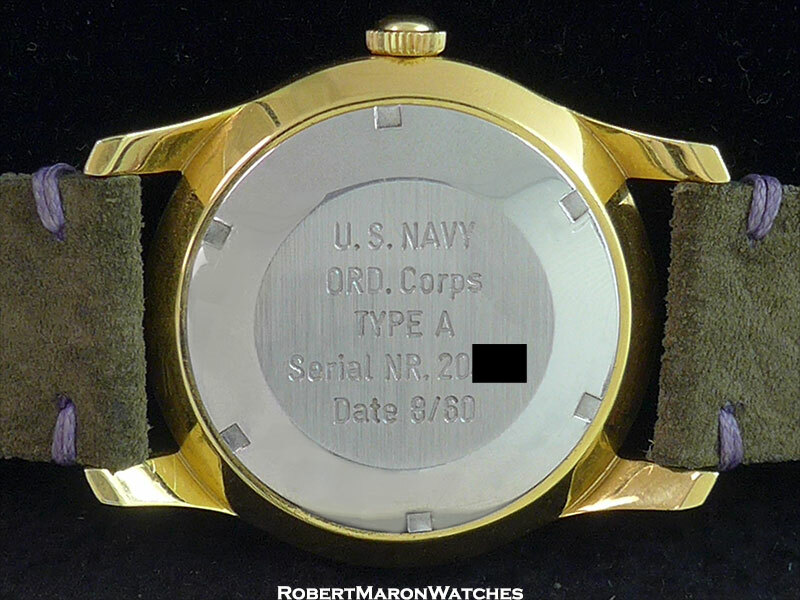 Watch is gold plated stainless steel with unplated back. Large 40mm case features knurled bi-directional count-up timing bezel, knurled crown and bombe acrylic crystal. Screw down steel case back. Original finish which has both brushed and mirror finished surfaces. 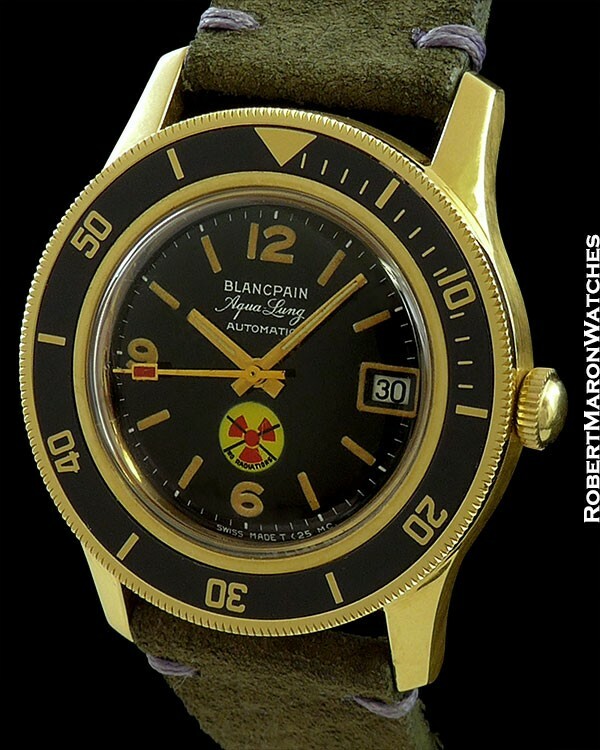 Original black dial has original and still highly luminous tritium, original golden baton hands and center seconds hand with red rectangle. 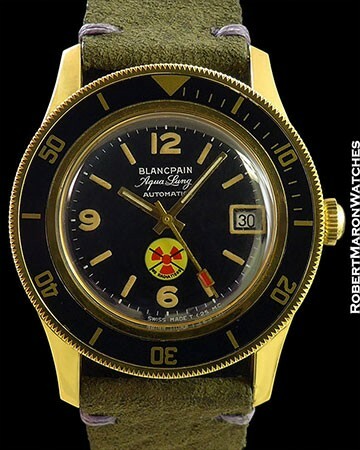 The famous Aqua Lung “No Radiations” yellow and red symbol and signed “BLANCPAIN Aqua Lung AUTOMATIC”. The date window is framed in luminous. Automatic 17 jewel winding Swiss movement signed ‘BLANCPAIN’ on winding rotor. Watch is on modern drab green suede strap with exposed purple stitching.